Jeanette MacDonald Nelson Eddy Cruise Gear Available! 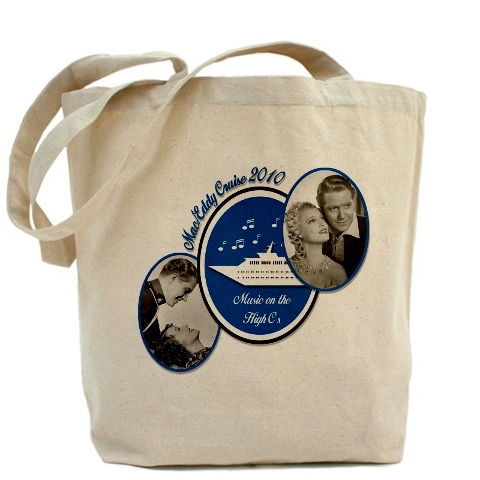 Jeanette MacDonald and Nelson Eddy fans: Click here to see the entire cruise gear line of Jeanette and Nelson shirts, mugs, tote bags and other items! You don’t have to be actually joining us on this year’s cruise to be with us in spirit! Jeanette MacDonald & Nelson Eddy 2010 Cruise Update! The ultimate cruise for fans of Jeanette MacDonald and Nelson Eddy. Join us for Valentines Week 2010. We are calling you-oo-oo! If you sing, bring your sheet music and join our talent night show! I have updated the “fyi” section to answer your questions, and the online registration form is at the link. Jeanette MacDonald Nelson Eddy 2010 Valentines Week Cruise! Ahoy Jeanette MacDonald and Nelson Eddy Fans! 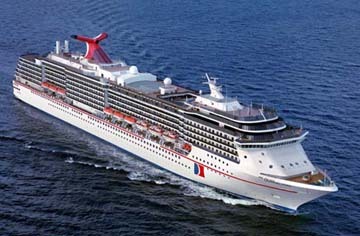 We have finalized plans for our 2010 Valentine’s week cruise – a 7-day on the Carnival Pride, sailing from Baltimore, MD. Date: February 7-14, 2010! I have set up a separate informational website with all the cruise details in one place. You also need to make your reservations there – fill in the registration form online. A $25 deposit will hold your cabin. The cruise website: http://www.maceddy.com/cruise. Your reservations need to be made in the next week or so, to get the prices that are quoted on that website. Last time, the Convention Fee was combined into the overall price. This time, we will collect the convention fee separately on our main website, at this link. We will process your cruise payments for you directly to Carnival. We are excited about putting this cruise together ourselves, and definitely want your input about which 3 films to show, talent night and any other activities you’d like to do during our time together. 1941 Nelson on Ford Sunday Hour.